Markosun's Blog Anything and everything anytime. 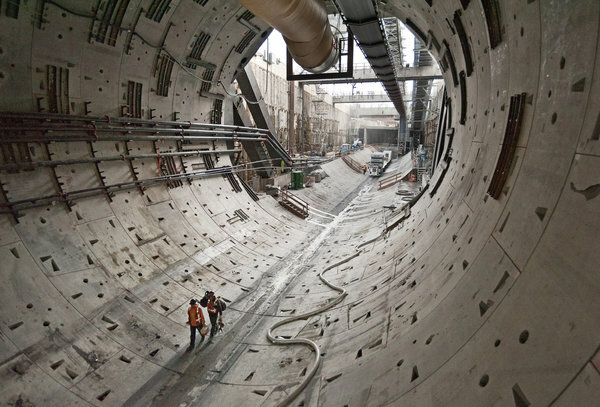 The Alaskan Way Viaduct Replacement Tunnel is a bored road tunnel that is under construction in the city of Seattle in the U.S. state of Washington. It is scheduled to open in late 2015. 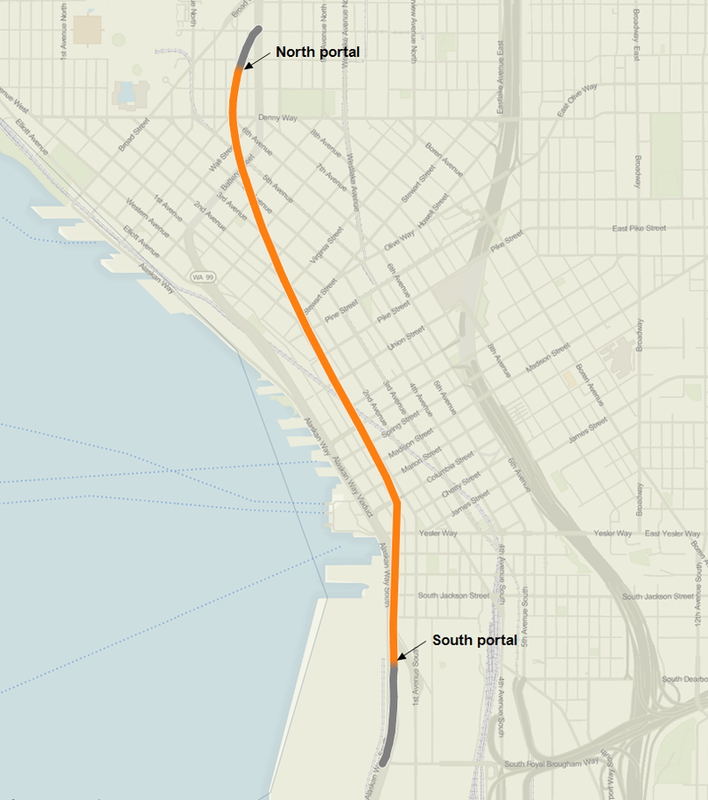 The 2-mile (3.2 km) tunnel will carry State Route 99 under Downtown from the SoDo neighborhood to South Lake Union in the north. Since 2001, the proposed replacement of the Alaskan Way Viaduct has been the source of much political consternation demonstrating the Seattle process. Options for the structure, which carries 110,000 vehicles per day, included either replacing it with a cut-and-cover tunnel, replacing it with another elevated highway, or eliminating it while improving other surface streets and public transportation. The current plan emerged in 2009 when government officials agreed to a deep-bore tunnel. 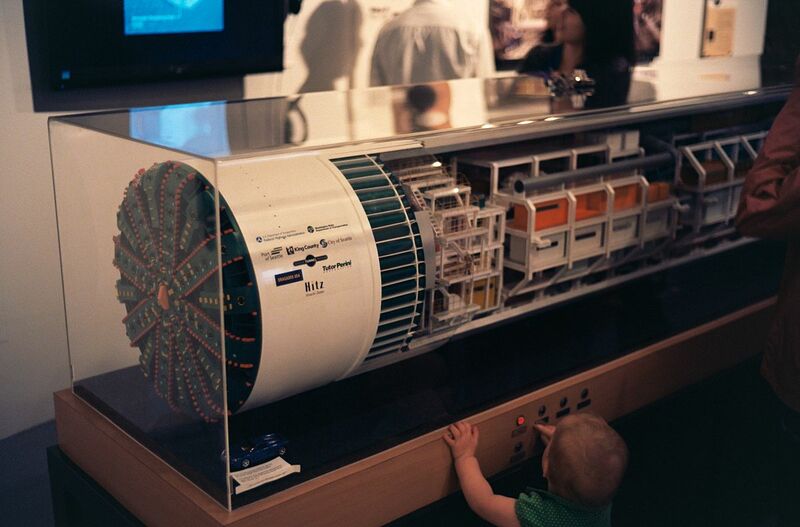 Under Seattle, a Big Object Blocks Tunnel Boring Machine Bertha. What Is It? The object’s composition and provenance remain unknown almost two weeks after first contact because in a state-of-the-art tunneling machine, as it turns out, you can’t exactly poke your head out the window and look. 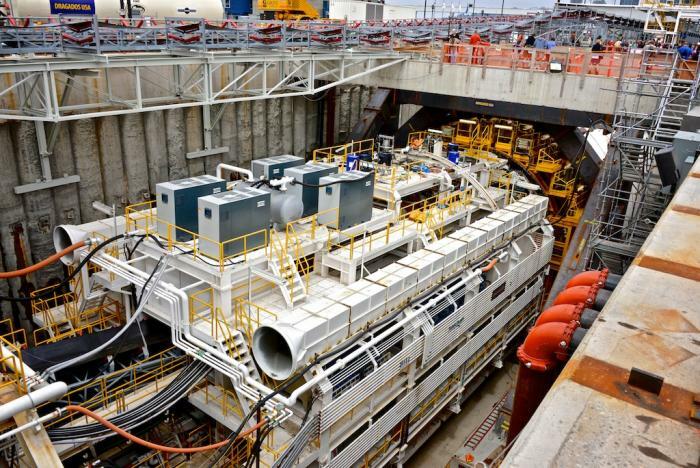 “What we’re focusing on now is creating conditions that will allow us to enter the chamber behind the cutter head and see what the situation is,” Chris Dixon, the project manager at Seattle Tunnel Partners, the construction contractor, said in an interview this week. Mr. Dixon said he felt pretty confident that the blockage will turn out to be nothing more or less romantic than a giant boulder, perhaps left over from the Ice Age glaciers that scoured and crushed this corner of the continent 17,000 years ago. This is an amazing development in engineering. 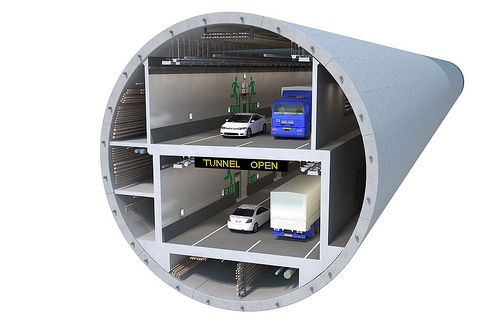 Creating this tunnel will change how we are able to develop new construction projects to improve traffic and out cities. “Today broke the tunnel drill Asa through Hallandsas for the second time. The two tunnels are finally ready. 21 years after the start of construction and 10.5 billion later. The whole process is so bizarre that it really just can laugh about it. But the laughter sticks in your throat when you consider all the poisoned workers, lame cows, dead fish, dried up rivers and huge amounts of tax money plowed into the ridge. * The original price tag was estimated at over a billion. A final note of 10.5 billion is about twelve times more expensive than expected. * The construction would take five years. It took 21 years. * When you whizzing through the tunnel you can think of that it cost about 1.2 billion per kilometer (ie 1.2 million per meter!). An ordinary Swedish double-track railway tunnel will cost about 200 million per kilometer. * Every minute of recycled time between Båstad and Förslöv (it is estimated to save approximately 10 minutes) costs a little over one billion. * In the late 1990s the Swedish Rail Administration an economic evaluation of the project. The conclusion was that the building has an economic gain of about 2 billion. Not in current income. Total. This means that 8.5 billion is wasted money. * For 8.5 billion would, for example, to build a new Öresunds bridge, or welfare payments for a whole year. * Despite poison scandal, runaway costs and the economic analysis chose Persson in the early 2000s to proceed with construction. Prestige? Macho? No one knows. Still, no rain has passed through the tunnel..